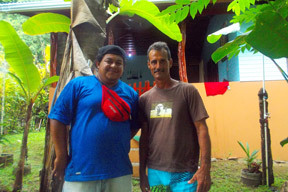 “Punta Banco is a small communtity with very friendly Tico's in the jungle next to the beach. The Rancho (Ranco Burica) were i stayed is like they say ''were the bad roads end and the good life begins' at the end of the road and with the beach and surf next door a good spot to relax, yoga, read, surf or many other activities that you can do to see the nature around you. Every day is a new day, with Tucan's, whales or offcourse the sea turtles. Turtle Rancho is a non-profit project with your contribution you can help to protect the Olive Ridley sea turtles and improve the living conditions of the local community. Maybe even more importantly, it is the experience of something you will never forget. You help the project reach their objectives by patrolling the beaches for turtles at night (in all weather conditions) together with the locals of Punta Banco, manning the hatchery and release the baby turtles when they hatch. In addition you will be involved with the day-to-day operational duties of running the project. In co-operation with the Rancho Burica and the association of Punta Banco, every year thousands of sea turtles are saved from poachers, high tide and dogs. 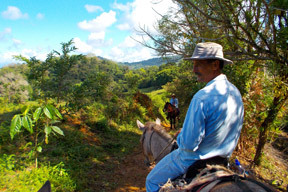 Rancho Burica tries to attract more volunteers towards Punta Banco and their accommodation in the low season. 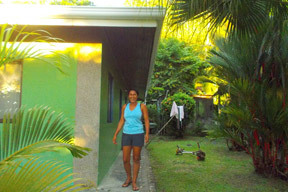 This also helps the local community with the turtle project. We need volunteers to help us patrol the beaches with an experienced guide and help save the turtles by moving the nests to safe ground - the beach of the Rancho. Here the eggs can grow and hatch, and we offer an experience for the volunteers seeing them hatch and leave for the sea. 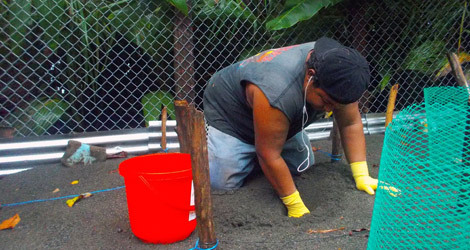 Turtle Rancho Project efforts mainly focus on protecting nesting sites, incubation and release of hatchlings. Our Turtle Watch projects throughout in Punta Banco are placed where a big majority of Olive Ridley turtles return to nest. The season for nesting turtles is August until November. Typical Turtle Watch duties include evening and night beach patrols of nesting sites to protect turtles and eggs from poachers. Night patrols are challenging and take place between 7 p.m. and 3 a.m. regardless of the weather and on some rocky parts of the beach. Patrols run in maximum 4-hour shifts, but longer if turtles or eggs are located. Hatchery shifts are exciting! Unfortunately is it not safe for the nests to be left naturally on the beach because of the poachers who will take the eggs and sell them on the black market. 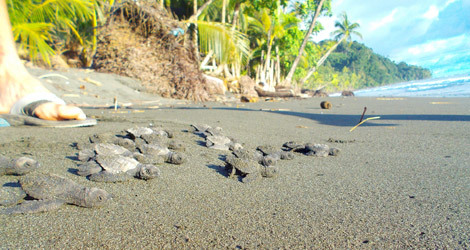 Turtle Rancho will protect the eggs by patrolling the beaches and bring the eggs to a hatchery where they can incubate safely. When the little turtles will hatch the Turtle Watchers will help to release them, together with the locals, into the ocean. 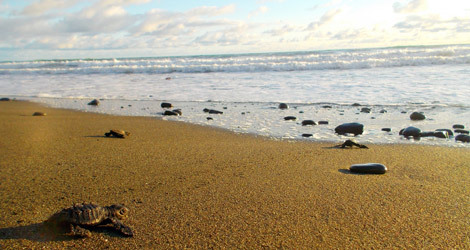 Duties include relocating nests, keeping predators at bay, providing information to tourists and releasing hatchlings.